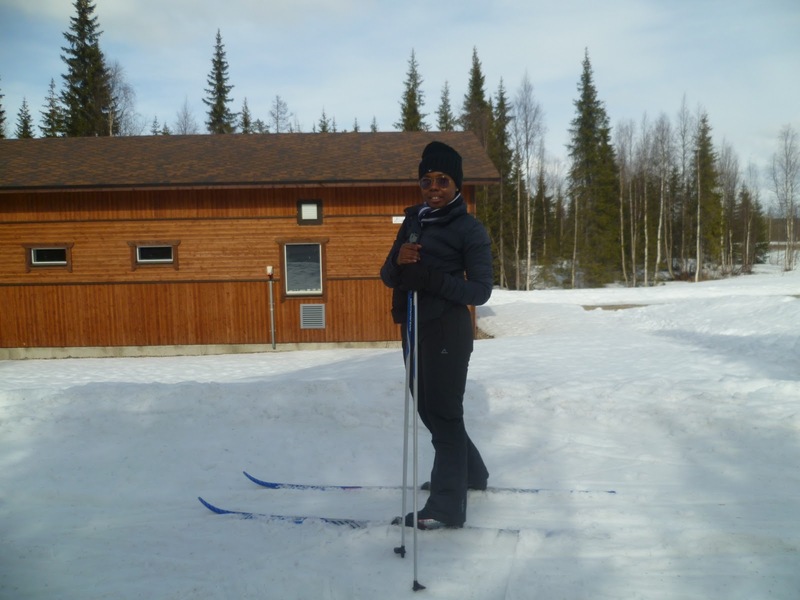 This weekend, we drove north west to the ski resort, Levi, where I got to try my hand at cross country skiing. I’m pretty sure I didn’t even know that this sport existed until I visited Levi in February of 2012 for a downhill skiing holiday. 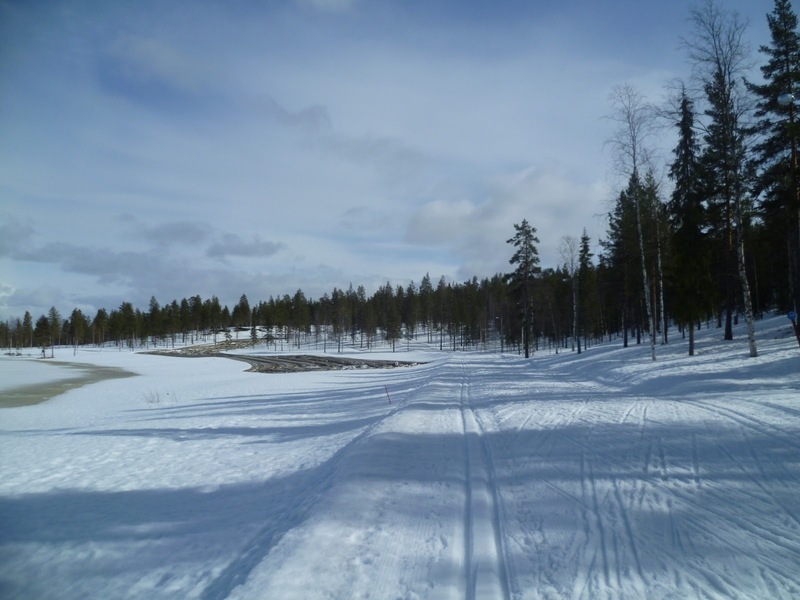 It is defined by Wikipedia like this: Cross-country skiing (or XC skiing) is a form of ski touring in which participants propel themselves across snow-covered terrain using skis and poles. Before we headed out, we got kitted out. 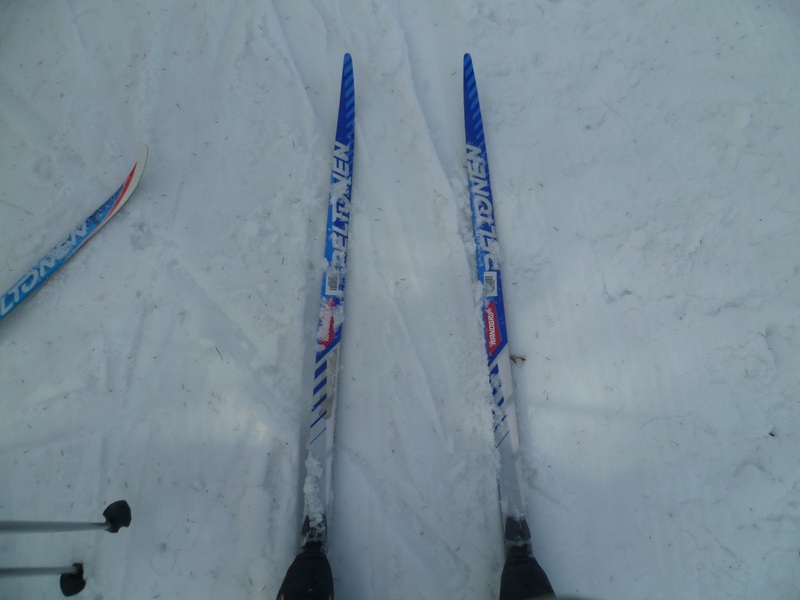 I did know the skis were different, but so were the boots too. The boots are much more akin to regular shoes and attach to the skis at the toe only, whilst the skis are much slimmer than downhill skis. 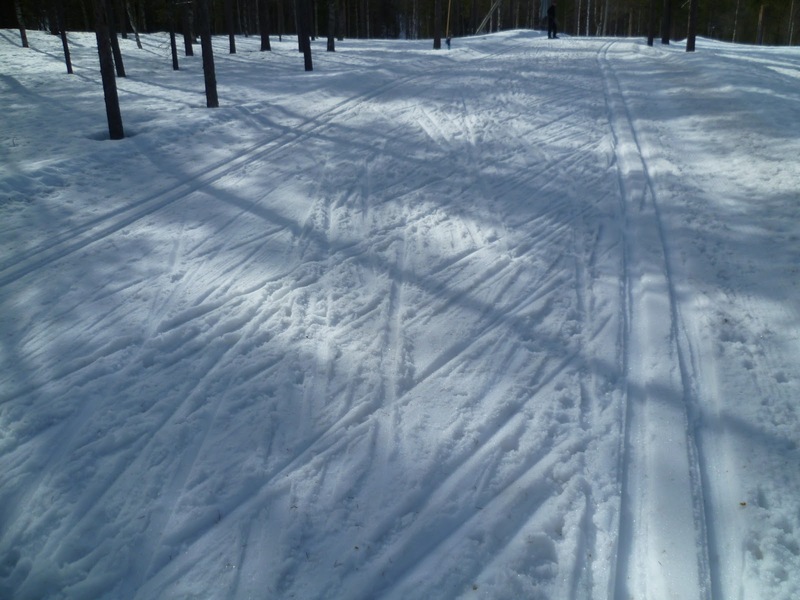 The poles…they have always been my security blanket in downhill skiing! I then received a crash course from my fiancé Mika. It went a little like this...”left then right”…”use your poles”…”left foot, right pole”… and we were off! With 5km under my belt, I had worked up an appetite too! 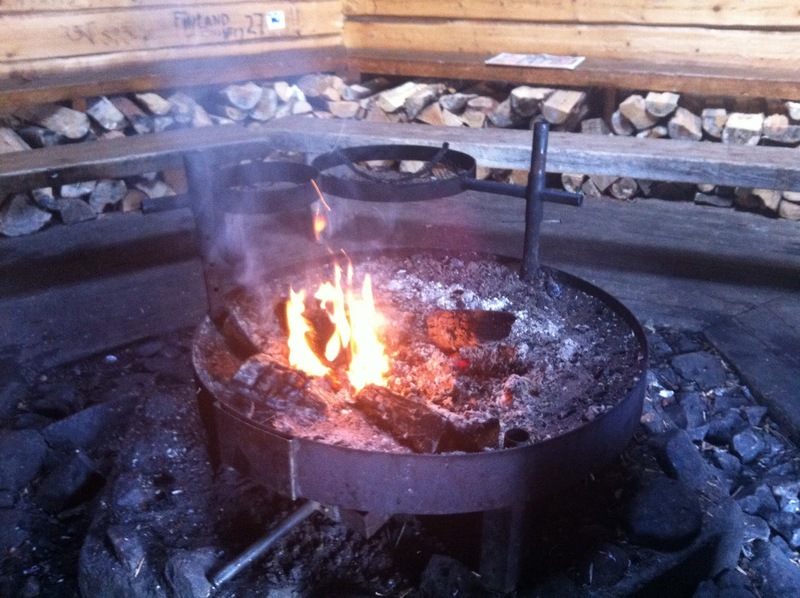 We brought along some sausages which we cooked on an open fire located in a hut next to the trail! 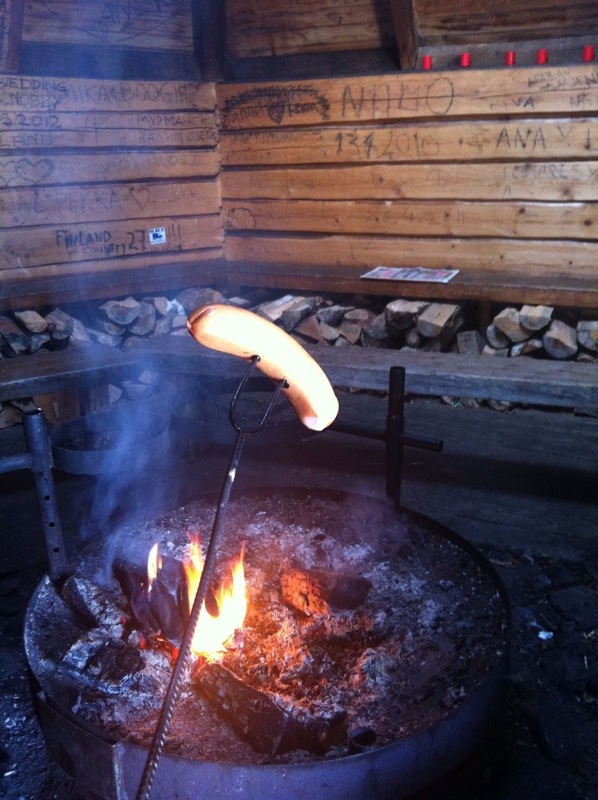 …lathered in mustard (a Finnish sort which tastes so different to English / French) that I love!…oh and mustard is a much more waist friendly option than tomato ketchup and other condiments! How do you keep your workouts fresh?! What did you get up to at the weekend to stay active?! Previous Post How hot is hot Pilates? !